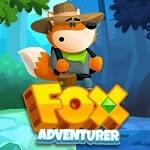 Help Mr. Fox in his magical adventure. Switch between day and night to choose the right path. Solve difficult puzzles that will become more difficult in the process of passing the game.